Safety and slumber go hand in hand. Check out the top baby cribs that deliver both. We decided to switch things up for 2019 and broke our best baby cribs into two parts—convertible and traditional. We also included a "splurge" pick and added an alternatives/accessories section for new parents. Find the best baby crib to keep your little one safe and well rested. We looked at traditional cribs, 4-in-1s, and more to find the top cribs for your bambino. Color, style, price, and brand were considered, as well as safety features like durability, chemical-free construction, and environmental impact. We looked at the features that matter most when choosing the right convertible crib for your new addition. All of our featured cribs sell the mattress separately and are made of chemical-free materials. 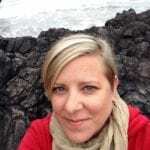 Check out how they line up on other relevant factors. DaVinci is known for making beautiful baby furniture that can stand the test of time. 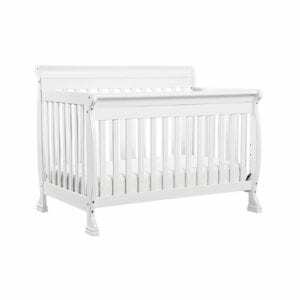 The Kalani 4-in-1 convertible crib is no exception. Made of sustainably sourced New Zealand pine wood, this crib features gentle curves and your choice of high-quality finishes. The classic styling makes this the perfect piece of furniture to grow with your child. With the purchase of a conversion kit, you can expand the crib to a toddler bed and then to a full-size bed your child can use through college and beyond. We just wish it were easier to put together. Assembly is a two-person job—and it can take a couple of hours to complete. Not only is this one of the most stylish convertible cribs we found, but it’s the only one on our list that includes the conversion kit upfront. That means you don’t have to make an extra purchase when it’s time to take the Babyletto Hudson from crib to toddler bed to daybed. But that inclusion does bump up the price, making this the most expensive convertible crib on our list. 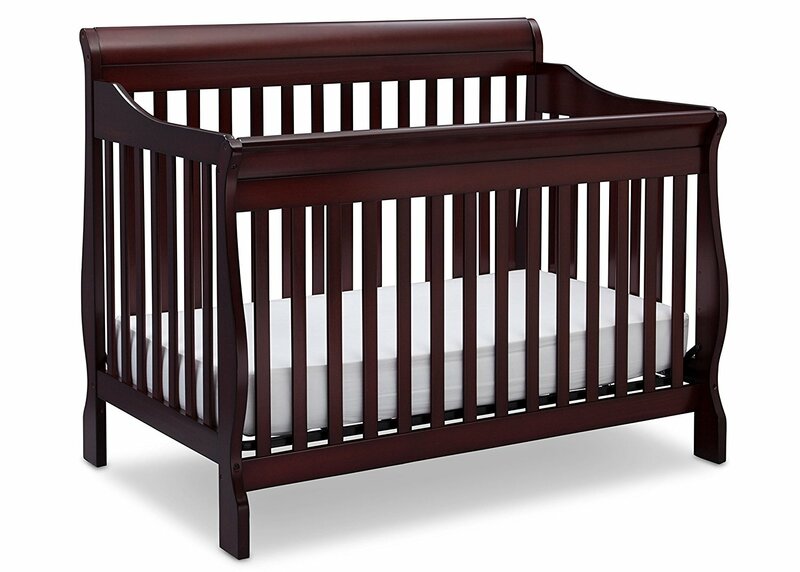 The Canton convertible crib delivers elegant design and sturdy construction at an attractive price point. Plus, customers report that it’s painless to put together—taking just thirty minutes for most. The daybed rail and a toddler bed guardrail are included, but you’ll have to buy the full-size bed rails separately. And although this crib meets safety standards, some parents noted that the spaces between the slats are wide enough for tiny limbs to fit through. Once again, we examined the key features that parents look for in a baby crib. 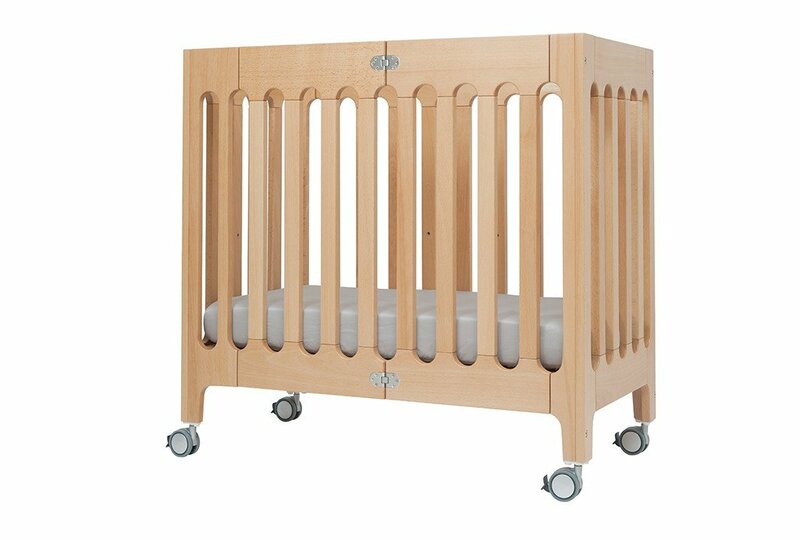 All of our top traditional cribs sell mattresses separately and are made of chemical-free materials. This table breaks down how they compare in other important areas. This charming standard crib remains on our list for the second consecutive year. 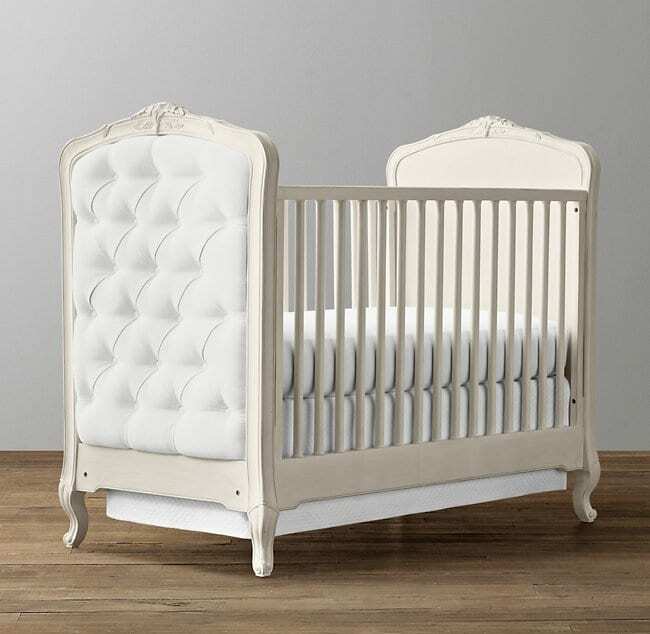 Thanks to its high expert and customer rankings (it has 4.5 stars on Amazon), the Jenny Lind Stationary Crib remains one of the most-recommended cribs on the market. We like the accessible price point (it’s under $175), adjustable mattress positions, and wheels that transform this crib into a moveable piece of furniture. But there are some concerns about how stable it is for toddlers. If your baby spends a lot of time away from home, this folding crib is a smart way to keep baby safe and comfy at nap or bedtime. It’s a full-size crib that folds flat. And there’s no disassembly required. 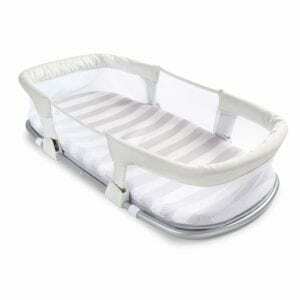 The Dream On Me Stationary Side Crib also comes with two-position mattress support, a non-drop side, and locking wheels. Our biggest issue is tricky assembly—we recommend calling in someone handy to help with this one. The Bloom Alma Urban Mini Folding Crib was made for people who are short on space or living in tiny apartments. Its miniscule footprint means you can tuck it into a corner and then fold it up easily when it’s not in use. Lockable casters make it easy to safely roll from room to room. If you need a reliable, safe, and cute crib that doesn’t take up much room, this is it. But the small size means you’ll be shopping for a new bed by baby’s first birthday. As we dove into the world of cribs, we came across some pretty amazing pieces of furniture. It was hard to resist the allure of these lavish cribs, so we decided to give you a glimpse into the land of luxury baby sleepers. Here’s our favorite crib for splurging. If you want to create a nursery that even William and Kate’s brood would envy, then this decadent crib should be your pièce de résistance. Inspired by a Louis XV antique, the intricate carvings and luxurious upholstered sides simply scream opulence. You can select the fabric (Belgian linen or vintage velvet) for a bespoke crib that’s one of a kind, but make sure you truly love it because there are no cancellations on custom orders. At more than $1,400, it’s one impulse buy you don’t want to regret. Fortunately, you can buy a separate conversion kit to keep the splendor going through your little royal’s toddler years. It’s been nearly a quarter of a century since I had to worry about a place for little ones to rest their heads, and I was wowed by the changes and advances made to cribs over the past couple of decades—they’re a whole lot cooler and so much safer. Plus, things that we took for granted just twenty years ago (drop-sides, cute baby bumpers) are nonexistent today thanks to improved safety standards. To make sure you keep your precious one as safe as possible, we delved into the questions you need to ask before tucking your baby in. Should I Buy a New or Used Crib? 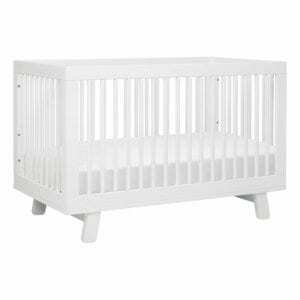 As a college student, I was all about saving a few bucks, so I bought a used crib for my first child. At the time, I wasn’t aware of the potential risks of slats with gaps that were too wide, dropping sides that could trap little arms or legs, or even the presence of lead paint. I was focused on finding something cute that I could afford. When you’re looking at a piece of furniture that your child is definitely going to outgrow, it’s hard to justify investing in a brand-new bassinet or crib. Fortunately, my penny-pinching purchase didn’t result in any harm to my daughter, but looking back I would do things differently. That’s not to say that it’s never okay to buy a used crib, but you need to make sure it meets current safety standards and hasn’t been damaged in any way. Some things to look for if you’re thinking about a used crib include the production date of the crib, slats that are no greater than 2 3/8 inches apart, loose posts or knobs, exposed screws and nuts, and any sharp edges or rough wood. You should test the crib to make sure it isn’t wobbly, which could indicate weakened hardware and joints. Peeling paint is another hazard to watch out for. What Kind of Crib Mattress Should I Get? Most cribs don’t come with a mattress, so this is an extra purchase you need to make. The safest (and simplest) way to decide on a crib mattress is to find out if the maker of your crib also produces a mattress. 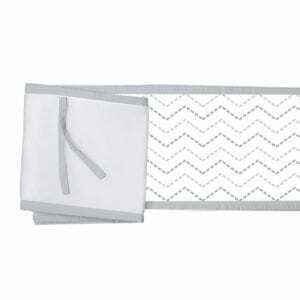 This guarantees the right fit, which is crucial to keeping your baby safe while they slumber. Whether you buy a mattress designed for your crib or one sold by another brand, there are ways to determine a proper fit. Full-size crib mattresses are required to be 27 ¼ inches wide by 51 ⅝ inches long. The mattress needs to be no thicker than 6 inches. You should also manually check the fit once the mattress is inside the crib—if you can fit more than two fingers between the frame and the mattress, it doesn’t fit. Another thing to check is the materials used in the mattress. You’ll likely buy either an innerspring mattress or a foam mattress—both types are common for cribs and safe to use. You also want chemical-free mattress construction, including any mattress supports. Watch out for use of MDF (medium-density fiberboard) boards, which contain a low level of formaldehyde. There is a permissible amount of formaldehyde that is considered safe, but if you want your nursery to be 100% nontoxic, this is one area where you should pay close attention. You may also consider a double-sided mattress—especially if you have a convertible crib. These mattresses are designed to provide maximum safety and comfort as your baby grows from an infant into a toddler. The infant side is firmer to provide safe rest for your bambino. When they get older, you can flip the mattress to the softer side, which is more comfortable for a toddler. What Are the Benefits of a Convertible Crib? As noted earlier, it’s hard to invest in a piece of furniture that will become obsolete in as little as two years—even if it is for your darling baby. One way to extend the life of your investment is to purchase a convertible crib. These cribs, also known as 3-in-1 or 4-in-1 cribs, let you convert your baby’s crib into different sizes of beds that can serve them throughout their childhood and sometimes into adulthood. The most obvious benefit is the longevity of your initial crib purchase. Instead of having to get rid of outgrown furniture and buy something new, all you need to do is pick up a conversion kit and a bigger mattress. This also makes other purchases, like coordinating dressers and tables, last beyond the nursery and into an eventual teen bedroom. Another nice thing about convertible cribs is that they’re usually higher quality because they are built to last longer than just a few years. If you’re looking at going the convertible route, we recommend opting for a 4-in-1 crib that can work from infancy all the way up until your kid is ready for a full-sized bed. 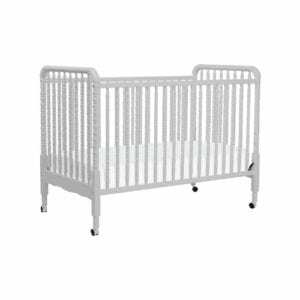 This type of convertible crib also has a daybed option between toddler bed and full size, which makes the transition easier for your child during each stage. 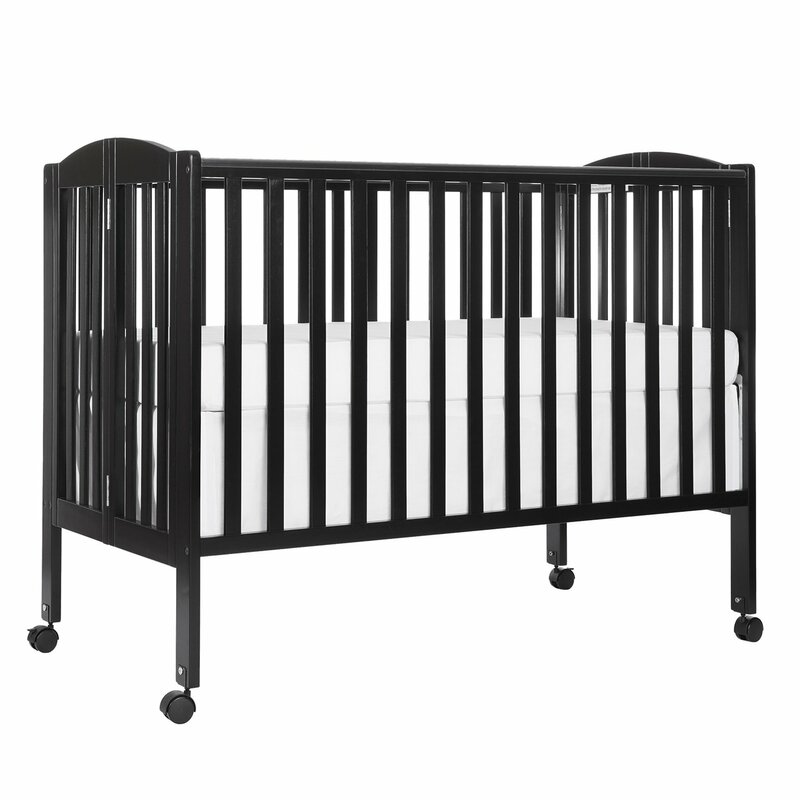 What Types of Crib Accessories Are Safe? It used to be that cribs were full of blankets, cuddly toys, and accessories like bumpers that protected little heads from getting bruised and kept small arms and legs out of crib slats. But it is now recommended that all your baby needs to sleep safely is a mattress with a waterproof cover under a fitted sheet. Aside from the fact that blankets, bumpers, and stuffed animals add to the aesthetic of your nursery, it can be tempting to disregard current advice when we all know babies that survived those hazards unscathed. But we believe it’s better to be safe than sorry, so we strongly advise following the recommendations of the American Academy of Pediatrics. That doesn’t mean the crib has to be completely devoid of personality. There are a number of cute, safe crib sheets that can add to your nursery’s charm—just make sure they are made to snugly fit the mattress. Beware of hand-me-down sheets that may have lost their stretch. 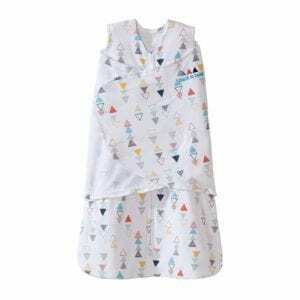 In place of blankets, use a swaddle wrap or wearable blanket to keep baby snug all night long. Instead of stuffed animals, try a night light that changes colors, projects stars or animal designs onto the walls, or plays soothing sounds and lullabies. Your baby will sleep in their crib from the time they’re born until their second birthday. Here’s what you should do to keep your wee one safe while they’re sleeping in a crib. 1. Don’t use bulky blankets or pillows. When your baby is little, they won’t have much muscle control. If babies roll over onto thick pillows or blankets, they could suffocate. If you’re worried about your baby getting cold, buy warm pajamas or a blanket sleeper. This way, the warmth will come from their clothing and they won’t get caught up in plush items. 2. Do make sure your crib is certified. Kids can get caught and seriously injure themselves in poorly built cribs. 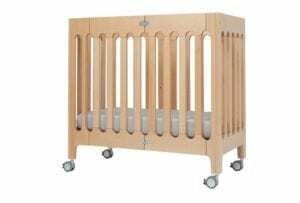 Over the years, safety standards for cribs have evolved, and dangerous cribs and features have been recalled. If you don’t see CPSC, ASTM, or JPMA certification on a crib, don’t buy it. 3. Don’t be afraid to reuse . . . to a point. If a crib is ten years old or older, don’t use it. The same goes for broken cribs. 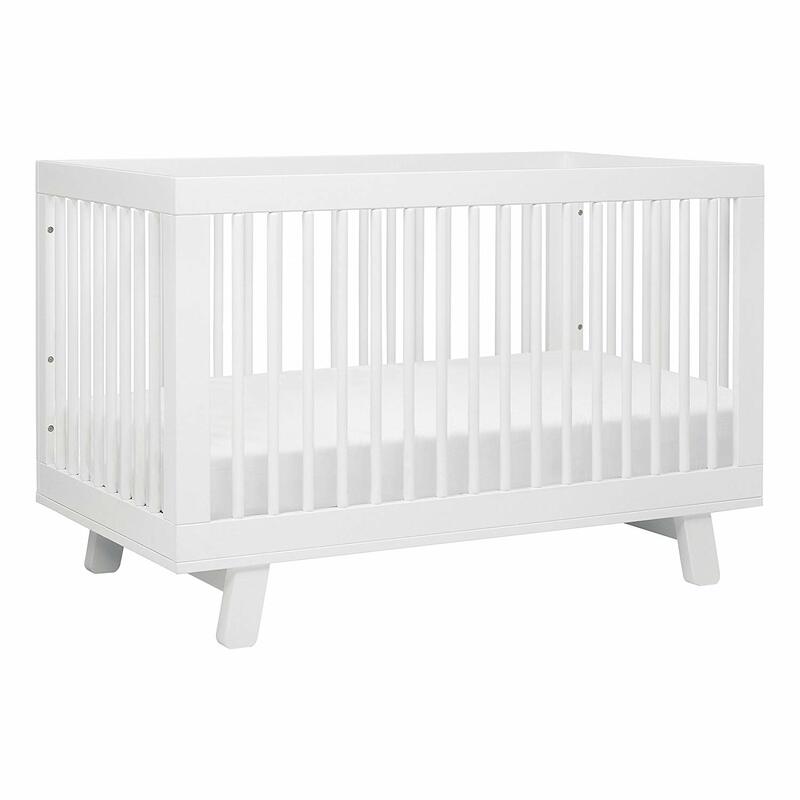 Modern cribs have safety features older versions do not, so keep your baby safer by using newer and undamaged cribs. 4. Do adjust the mattress height. Once your child can stand or sit up, you’ll want to adjust the mattress height in the crib. This will keep your baby from falling over the edge of the crib and getting hurt. 5. Don’t use drop-side cribs. 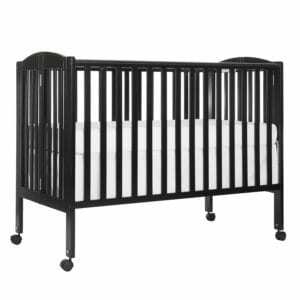 CPSC standards no longer support cribs with drop sides. While the design allowed parents to reach babies more easily, drop sides have been linked to almost three dozen infant deaths. They’re dangerous and should be avoided. Following directions while assembling a crib is crucial. If you miss a step or do something incorrectly, it could hurt your baby. Keep your baby’s crib away from dangling objects like curtains or blinds. They present a strangulation risk. If you use a mobile, make sure it’s installed high enough that your baby can’t reach it. 8. Do double check everything. Once your crib is assembled, give it a thorough once-over. Check for jagged edges, loose materials, and defects. Not all products are perfect, so double-checking can prevent a tragedy. When testing out a crib in a store, go ahead and give it a good shake. This will let you know if the frame seems loose, which could indicate missing or weak stabilizer bars under the frame. While you’re at it, check for loose spindles or slats and make sure everything is tight and secure. Loud vibration feature Fits poorly on portable or mini cribs Limited lifespan, designed for babies under 18 lbs. Finding a safe crib or bassinet is just one part of preparing a safe, cozy sleeping environment for your infant. We found these alternative sleeping solutions and safe crib extras that are worth a look. Your baby will spend a lot of time in their crib napping and growing, but that’s not the only way they’ll explore the world. If you’re shopping for more baby gear, check out these other safe baby buyers guides. You have enough on your mind with a little one on the way, so we took care of all the research for you. To find the best baby cribs, we dug into industry and product research, evaluating product features, specs, performance, and reviews from parents who’ve used the cribs we recommend. We consulted the CPSC crib safety regulations and made sure each crib on our list was safety certified. Then we chatted with manufacturers to make sure the information we had was accurate. Our top seven cribs were selected from twenty-seven cribs that were initially considered. The ones that made our list stood out for safety, style, and customer satisfaction.